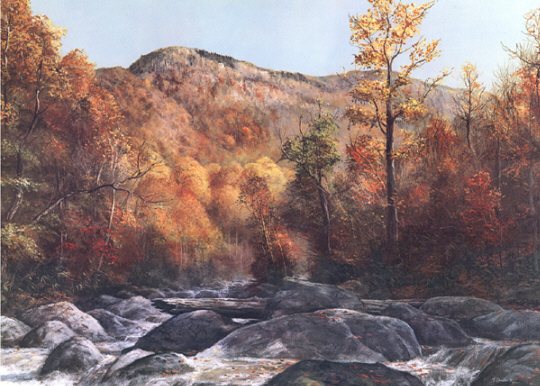 "Fall In The Smokies" is offered as a giclee on unstretched canvas. Image size: 30"w X 24"h in an edition of 250. "This painting was done near the Chimneys picnic area in the Smokies over 30 years ago. Reissued as a canvas giclee print.